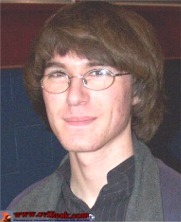 Cody Bunch will be one of about 180 CHS Seniors who will each have their own page on cvilleok.com. Those pages are to be completed by May 1st, 2009. Each student or parent is invited to submit a few favorite photos to be included on their page. Contact Ted Wright (wrightted@aol.com) for additional information on photos or advertising on those pages. 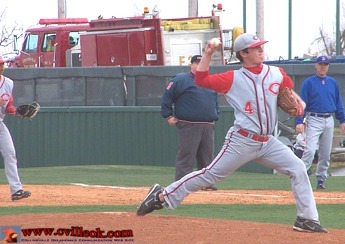 With a fire truck parked in my view behind pitcher Brock Werdel (#4), I am forced to add a comment about Brock "throwing smoke" to the Bixby batters here Thursday. Bixby matched Collinsville's 2-run 3rd inning with 2 of their own in the 3rd (with Collinsville as vistors in this tournamant game). 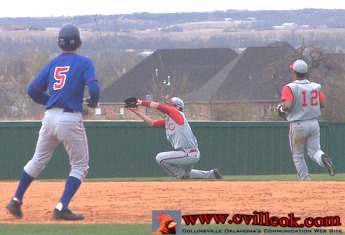 Bixby had 2 runs in the 5th and the Cards added a run in the 6th. 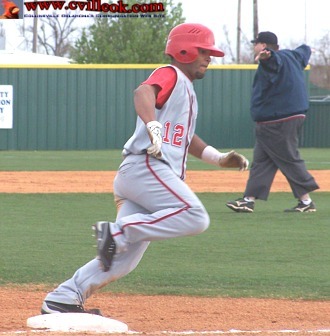 Jose Olazagasti (#12) was the first of two Cardinals to score on a Bobby Shoate hit in the 3rd inning. 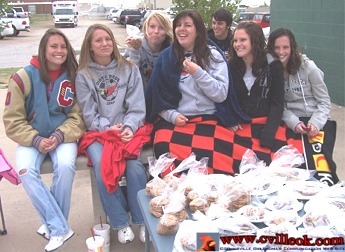 Members of the CHS girls soccer team were selling cookies at the baseball game Thursday. 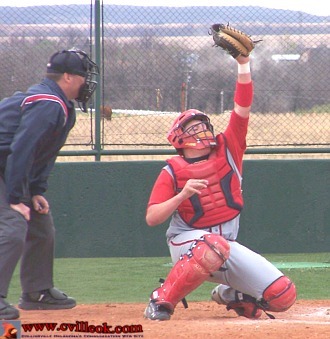 Cardinal catcher Jordo Musto snagged this high pitch. 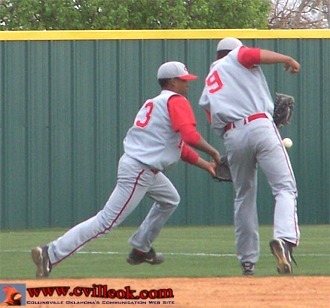 Left fielder Lane Coulter (#10) chased down this foul ball in the scoreless 4th inning. This bloop single started a 2-run 5th inning for Bixby. 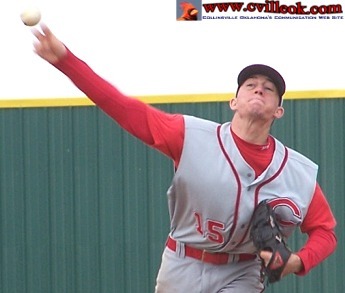 Nick Goza (#15) was on the mound in the 6th inning to strike out the side. 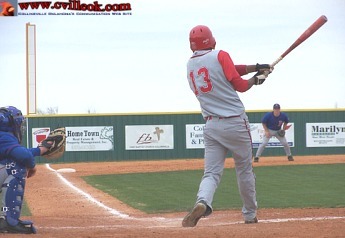 Peter Rodriguez (#13) just missed an extra base hit (by inches) down the left field line. Jose Olazagasti was left stranded at second after a double earlier in the 5th inning. Next CHS game is 6:30 Friday 3/20/2009.